In this week’s gospel we hear Jesus asking the disciples, “Who do you say I am?” Perhaps the most important teaching of the gospel message is not that we need to respond as Peter did with, “You are the Messiah”. It is that unlike Peter we must then accept that the way of Jesus is a path that leads to suffering, rejection and death leading on to resurrection. Jesus tells us that if we follow him we must also accept the way of the cross. Strictly season is upon us again! Yes, for some of us our Saturday night treat is back. Strictly Come Dancing (some countries know this as Dancing with the Stars) began last Saturday and our annual autumn feast of celebrity dancing – or in some cases not dancing – will keep us going up to Christmas. And one of the aspects of programmes like Strictly is that we get to see celebrities as they really are. Of course, I use the word ‘celebrities’ advisedly – I don’t know who half of them are any more than you do – but presumably they are all celebrities in someone’s eyes. When you’re a celebrity you are in the public gaze. But instead of the public persona they usually show – whether through music, acting, sport and so on – we get to see, over the weeks, more of the real person as they struggle with rehearsals, strut their moves on a Saturday night, face up to the critique of the judges, and then endure the results and the prospect of going home. One of the first lessons that celebrity status brings is the discovery that the image the public have of you is not necessarily a true image, or even the image that you have tried to project. For some the image they project is carefully manufactured. For others, like actors, it’s an unavoidable by-product of the job. It’s well-known that television soap stars often find that many members of the general public struggle to differentiate between the role an actor plays and the real person. People just do not see the ‘real’ you. A few years ago when competing on Strictly, Jake Wood commented that it was good to be called ‘Jake’ by members of the public instead of ‘Max’ – Jake plays the infamous Max Branning in Eastenders (a popular British television soap). Jesus is becoming well known. He is beginning to achieve celebrity status. And yet he is not trying to develop an image to hide behind. Far from it – he is doing what he can to show people who he really is. He wants people to know the ‘real’ Jesus. And yet people have started to impose on him their own ideas of what or who he should be. He is developing a public image – but not necessarily the one he wants. Our gospel reading highlights the way in which Jesus, as he becomes more famous, starts to be seen in different ways by not just his immediate followers but the wider community as well. No media in those days of course, so they either flock to see him for themselves or just rely on what others said about him. And all kinds of stories, all kinds of gossip about who he is, is starting to spread. And Jesus is trying his hardest not to present a false image but to present the reality, the truth, the ‘real’ Jesus. How is he doing? To get an idea he asks his disciples, “Who do people say that I am.” Perhaps he genuinely wants to know what the general public are thinking – he can’t turn to newspapers or the television or social media to find out. Perhaps he wants to know what the disciples are thinking for themselves – have they been listening to what he has been saying about himself, have they understood him? Has he got his message across? Or have their views been swayed by talking to other people. And so the disciples give their reply. They tell Jesus what people are saying about him. Some people think he’s John the Baptist, some think he’s Elijah, or one of the other prophets. People clearly thought he was from God, and yet there is a lot of confusion about who he really is. People are getting the wrong image. Even Peter, who gets the answer to Jesus’ question right, actually has it all so wrong at the same time. “You are the Messiah!” he says – with hardly a clue as to what Messiah really means. In Matthew’s version of this event Jesus then goes on to bless Peter for his declaration, but here in Mark we simply have the stern order not to tell anyone about him. Which is somewhat puzzling! Perhaps Jesus wants people to ‘get it’ for themselves when the encounter him, and not have to have it explained. At any rate Peter proves his lack of understanding in the following exchange. Just as the people wanted Jesus to be their kind of myth, imagined that he must be John the Baptist, or Elijah returned – so Peter wished him to be his kind of Messiah. Jesus talks about suffering, rejection, death, resurrection. But it’s all lost on Peter. So he takes Jesus aside to give him some coaching in positive thinking, rather like a modern-day spin doctor might coach a politican on how to portray himself and what to say. For Peter is fixated on his own image what the Messiah, what Jesus, must be. He cannot think outside the box. He cannot accept what Jesus says about himself. He cannot accept the reality. For Peter, it is impossible that the Messiah could be rejected and suffer like that! He isn’t ready to have his faith stretched. And his strong reaction to the first part of the teaching, his inability to accept what Jesus says about suffering and rejection, prevents him hearing the full message which ends with resurrection and new life. Peter has come to understand who the ‘real’ Jesus is, but cannot understand what that actually means. Having rebuked Peter Jesus goes on to explain. To be his followers people must give everything up – and the disciples probably think they have already done this. They’ve left homes and families. In reality of course they haven’t given up everything. They haven’t given up that human desire to have things turn out as they want. At this point they haven’t got it. They’re still working it out bit by bit but they still have an image in their own minds of who they think Jesus is or who they think he ought to be and ought to be like. And Peter, as we have seen, is all too ready to tell him. And they don’t get it until after the resurrection. Because it’s not until after the resurrection that they finally grasp not just who Jesus really is but also why he came. It all becomes clear. 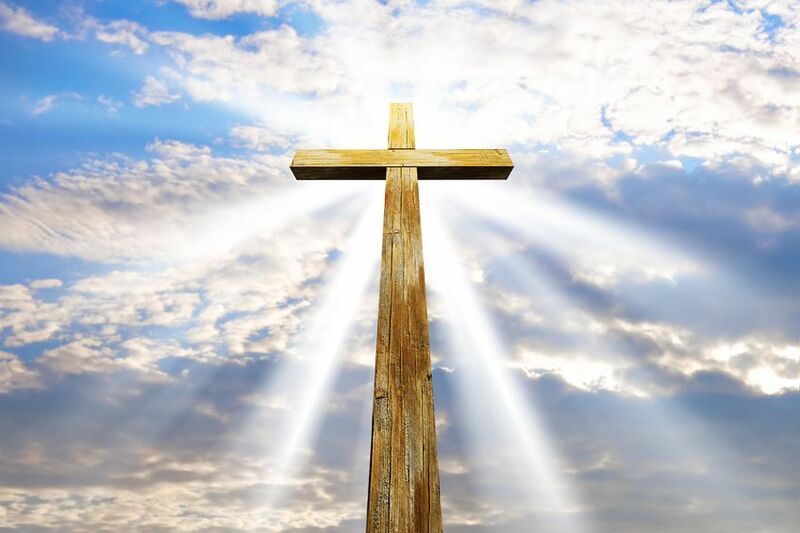 We know that they finally grasped it all because they were prepared finally to do what Jesus taught them in this morning’s gospel – to take up their cross and follow him, to embrace the cross for themselves and all that doing that meant. They finally realise that if the answer to the question “Who do you say that I am” is “You are the Messiah” – then there is only one possible response. For Jesus – the path of suffering that leads to the cross and then beyond to resurrection. And for his followers precisely the same. How will we answer – and how will we then live out the answer in our own lives?